We stamp your initials into the surface of your product giving it a clean and modern design that will last forever. We cannot accept returns on monogrammed products. 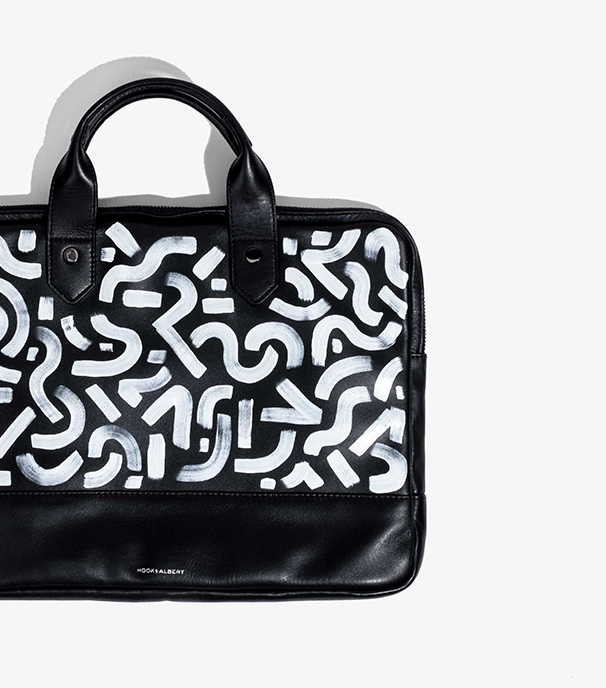 Introducing a hyper-limited small run artist collection of hand painted leather goods by Kyle Steed. Each item is hand painted, signed, and numbered by the artist himself. Due to the unique nature of these products, all sales are final. No returns or exchanges. 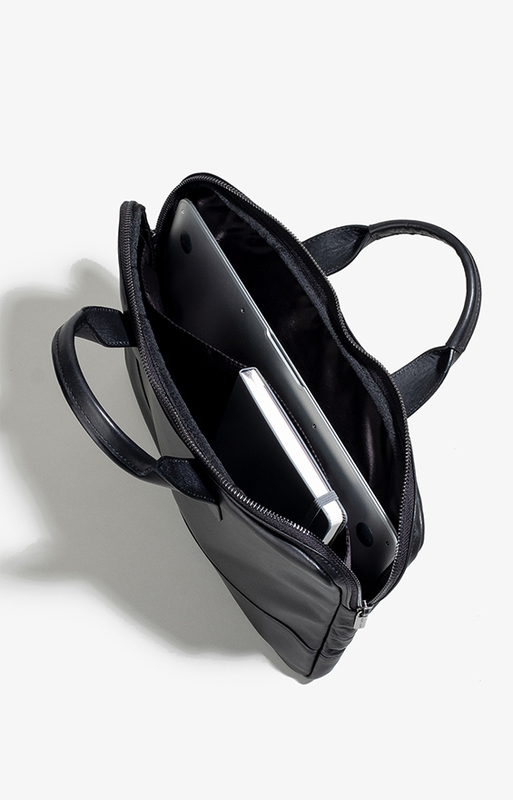 Welcome to a new briefcase for the minimalist traveler. Made of luxurious top-grain smooth leather, our padded Slim Briefcase holds up to a 13-inch laptop and features an interior zipper pocket, an interior slip pocket, a divider for separating documents from your computer, and two pen pockets. The tapered handles make holding the bag effortless and comfortable, and durable zippers make sure it will last for a lifetime. Size: 14" x 10.5" x 2"
Holds up to a 13 inch laptop. For your headphones, a small book, or documents. The shell is made of glossy top-grain smooth leather. Fits up to a 13 inch laptop. Incredibly lightweight, slim, and minimal.